Warren Buffett called The Coca-Cola Company (NYSE:KO)‘s controversial compensation plan excessive, but said he declined to vote against it. The plan — which will pay Coke managers generously with shares of the company if they achieve specific performance goals — passed on Wednesday at Coke’s annual meeting, but without Buffett’s help. Buffett said he abstained in the vote. 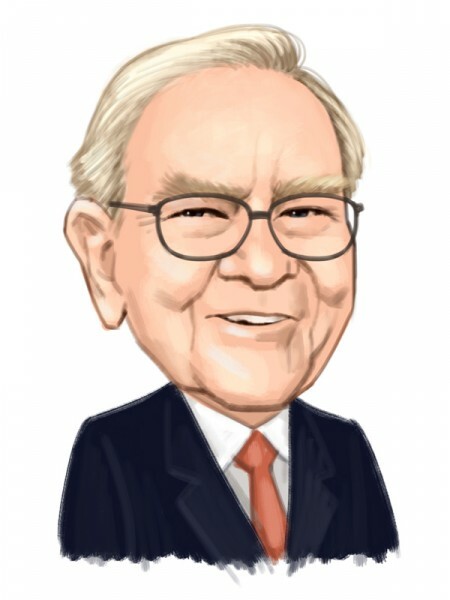 Berkshire Hathaway Inc. (NYSE:BRK.A), Buffett’s insurance conglomerate, is one of the largest owners of Coke’s stock, with a little over 9% of the company’s shares. Billionaire hedge-fund manager John Paulson said today that Puerto Rico’s economy is at the beginning of a turnaround and predicted the island will become the Singapore of the Caribbean. Paulson, speaking today at the 2014 Puerto Rico Investment Summit in San Juan, a conference designed to promote the territory and attract investors, said he’s building a home in the commonwealth. The hedge-fund manager, who last year considered relocating to Puerto Rico to take advantage of new tax laws, said opportunities to buy real estate in the region won’t last much longer, and he’s looking to purchase sites that can be developed to serve people he expects to move here because of the legislation. When liberal billionaire Tom Steyer ran his hedge fund firm, he worked so hard to stay under the radar that his Farallon Capital Management was known as a secretive operation in the investment community. He avoided publicly and guarded his privacy even as Farallon became one of the largest hedge funds in the nation. But now Steyer is pursuing an aggressive financial campaign to support Democratic candidates and push climate change measures on both the federal and state level, sometimes by using stinging attack ads. He is backing his NextGen Climate Action group with $50 million and hoping to raise another $50 million from donors. That would make it one of the biggest outside political groups in the country. Influential shareholder advisers were mixed in their analyses of the ongoing fight between Sothebys (NYSE:BID) and activist investor Dan Loeb, who is looking to shake up the art-auction house’s board. Mr. Loeb gained a significant ally in his campaign Thursday when Institutional Shareholder Services Inc. recommended he be elected to Sotheby’s board. Rival advisory firm Glass, Lewis & Co., however, said Mr. Loeb hasn’t built a strong enough case for a board makeover and recommended in favor of the company’s management.